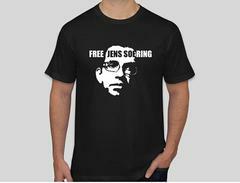 Jens Söring - McDonnell won't intervene in Soering parole request. Gov. Bob McDonnell (R) has informed lawyers for Jens Soering, the German national convicted of killing a Virginia couple in 1985, that he will not intervene in Soering’s request for parole and would not be receptive to any request for an executive pardon. 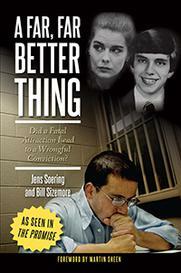 Soering had asked McDonnell to review Soering’s parole application, which was based on DNA evidence retained from the crimes. Instead, McDonnell said nothing in Soering’s parole application provided “any basis for me to doubt the judgment of the jury” or the veracity of Soering’s previous confessions in the crime. A Bedford County jury in 1990 found Soering, the son of a retired German diplomat, guilty of killing Nancy and Derek Haysom, the parents of this then-girlfriend. “Under Virginia law, the Parole Board is responsible for determining whether parole should be granted. With this in mind and based on my review, I decline to intervene,” McDonnell said in a statement. The governor’s announcement could help shine a renewed spotlight on the case--which might be part of the point. Republicans believe the case will prove problematic to the U.S. Senate campaign of former governor Tim Kaine (D). That’s because Kaine, in the final days before he left office, requested that the U.S. Justice Department grant a request by Soering to be transferred to a prison in Germany, where he would have been eligible for release in two years. The request was widely panned in the Haysom’s community and McDonnell withdrew it shortly after taking office. Republicans have been seeking e-mails sent by Kaine officials about the case, which they hope will prove embarrassing to the former Democratic National Committee chairman.